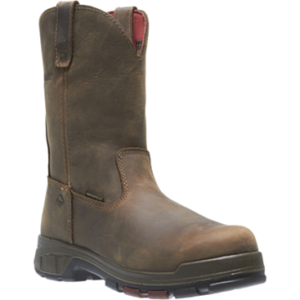 Made with a pull-on style and Ariat’s patent-pending U-Turn entry system, these work boots are quick and easy to get on, leaving you more time for other things. Also, the U-Turn entry system allows for a true fit, no matter the shape of your feet. You fly out the door, but you don’t forget that the 10-inch uppers of these Ariat boots are made from aged bark-colored high-quality full-grain leather. Full-grain leather is breathable and also abrasion- and oil-resistant. 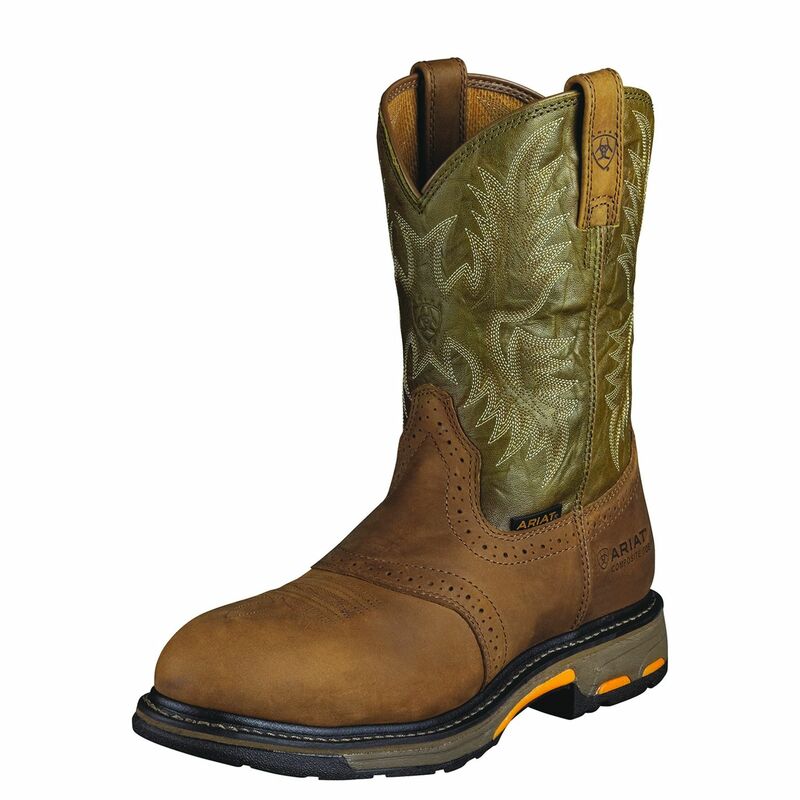 Adding to the modern style of these composite toe boots are the roomy roper toes. You’re running behind, but you’re doing it comfortably. Ariat’s ATS Max platform offers stability to reduce foot fatigue and provides proper body alignment. 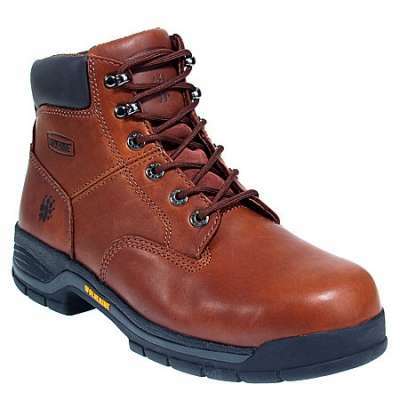 For cushioning, you have a soft, light, and flexible EVA midsole inside these Workhog boots. Ariat’s Duratread outsole is abrasion-, oil-, and slip-resistant, so you’ll not only stay on your feet, but be comfortable while doing so. These safety toe boots can’t protect you from your boss if you show up late (Wouldn’t that be nice? ), but they do meet several ASTM standards. The lightweight composite toe provides the same great protection as a steel toe but is non-conductive. 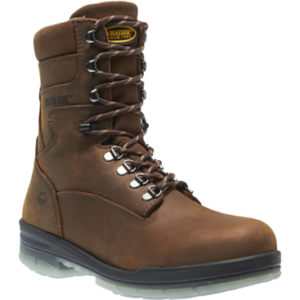 With EH (electrical hazard) rated heels and soles, these EH boots shield you against accidental contact with live electrical circuits in dry conditions. 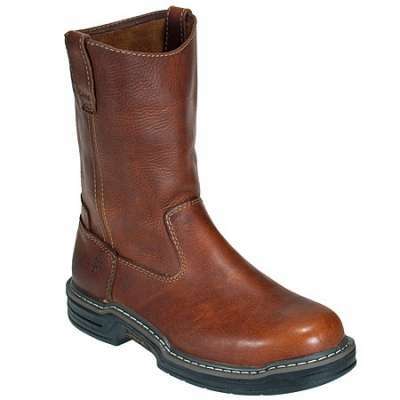 These brown boots are ASTM F2413011 M I/75, C/75, and EH rated.